Instrument Bundle, Virtual Intrument Bundle from Applied Acoustics Systems. Applied Acoustics Systems has released the Instrument Bundle for the holiday season. The Instrument Bundle comprises Lounge Lizard EP-3, Strum Acoustic GS-1, and Strum Electric GS-1 and represents savings of 45% off the separately purchased price. 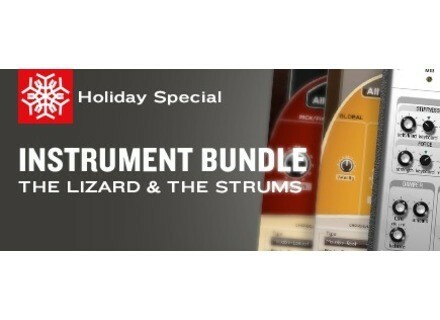 The Instrument Bundle is available now and until January 5th, 2010 for $379 direct from AAS' website.